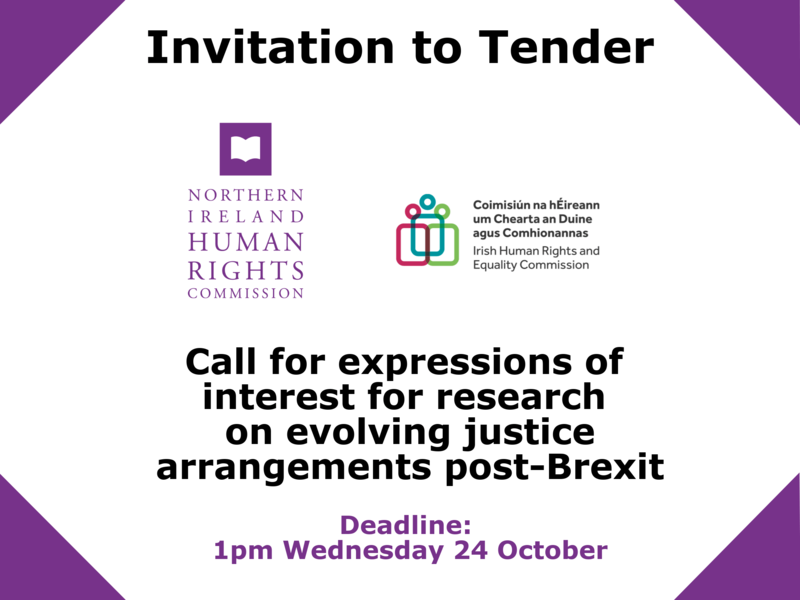 The Northern Ireland Human Rights Commission would like to draw your attention to the Joint Committee tender for research on evolving justice arrangements post-Brexit..
You can access the information here. Any questions about the project should be emailed to lorraine.hamill@nihrc.org who will arrange for a prompt response. The closing date for quotations is 1.00pm on Wednesday 24 October 2018.